Fashion is cyclical, errbody knows that. And apparently errbody is into the sixties again. Moschino is doing it, LV is doing it, Gucci is doing it. SO YOU SHOULD DO IT TOO. (we kid, we kid.) What’s not to love about retro-vintage? So if you trawl fashion/style blogs with your morning coffee on a daily basis and are updated about the next big thing in fashion today by the time you hit the bus/train, you’ve probably come across some kind of ’60s trends’ or ‘who what which designer is sixty-ing it up this season’ article so we won’t bore you with that. Let’s cut to the chase. One of the world’s first Supermodels and the face of Mod, she was famous for her pixie bob and wide cat-eyes with drawn-on lower lashes. Most recently, she released an album titled ‘Romantically Yours’ but we remember her from Cycle 5 – 9 of America’s Next Top Model – colourful, fabulous and hilariously witty. 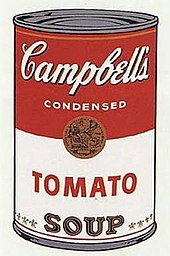 A pop-art legend who inspired iconic illustrations that were an eclectic mix of pop culture and creative advertisement. You’ve probably seen some of his prints like the Campbell caricature and the Elvis illustration. His pop-art movement remains a reverberating influence in Fashion today (see Castelbajac’s sequinned Obama dress that Katy Perry rocked at the European MTV Awards). Girls, keep your silhouettes clean (the 60s were known for simple A-line dresses) but don’t be afraid of bold prints or colour-blocks on your outfit. Pair this with a pair of kitten heels and statement accessories. Basically, ‘Simplicity is the ultimate sophistication.’ – Leonardo DaVinci. Guys, while I’m all for a brightly coloured/printed suit, please DO NOT try it without a professional stylist at home. Opt for a colourful shirt under a matching cardigan and a simple blazer with slim-cut pants and Chelsea boots. It’s okay to relive the spirit of the 60s, not okay to shock us with a resurrected spirit from the 60s!